The Greenlight boss unexpectedly took a stake in the beleaguered Japanese group, betting it’s hit bottom. That’s gutsy, but not necessarily reckless: Toshiba is closer to selling its chip business, which could give it much-needed financial relief and unlock value in other units. U.S. hedge fund Greenlight Capital, run by David Einhorn, said on July 14 it had added a stake in Japanese conglomerate Toshiba. 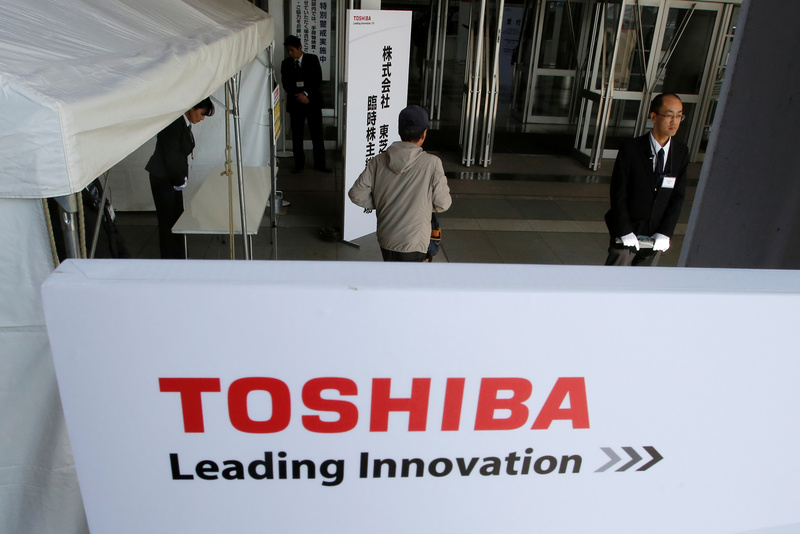 In a letter to its investors seen by Reuters, the fund says it expects shares of Toshiba to rise once the Japanese company resolves uncertainties around its bankrupt Westinghouse unit and the sale of its memory business. Shares of Toshiba may be worth as much as 400 yen, the fund added. Separately, a U.S. court judge on July 14 postponed a decision on an injunction sought by Western Digital, Toshiba's memory chip joint venture partner, to block the sale of the unit. Western Digital argues that any sale requires its consent. The ruling allows Toshiba to proceed with negotiations for now, although it is not expected to help resolve the standoff with Western Digital or speed up the sale process. Toshiba shares closed up 19 percent on July 18 at 275.8 yen. The Tokyo market was closed the day before for a national holiday.